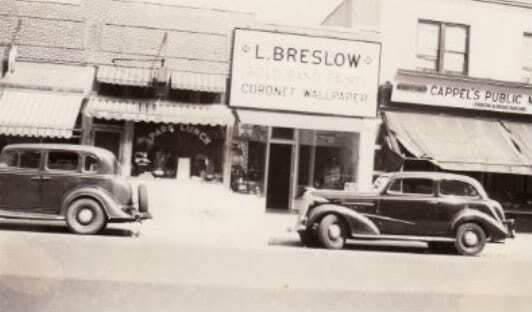 At Breslow, we treat everyone like family and pride ourselves on the quality that nearly 100 years of experience can provide. I debated for awhile on whether I needed an awning but now that I have I couldn’t be happier with the decision. It was like adding an extra room to my house and every person that has seen it responds with a compliment. The team at Breslow was great from the first contact, laying out all the options, no hard sell at all and the team installing the awning were on time, efficient and took their time to make sure I understood everything about maintaining the awning and that their work was to my satisfaction… all in all a great decision buying an awning and a great decision going with Breslow. I was skeptical about spending the extra money for the insulated honeycomb blinds. I couldn’t get my head around it making a “real” difference. In the end, we decided to go for it thinking maybe, just maybe, it might make some difference. When the temperature recently plummeted, our family room became truly uncomfortable, so we closed all the blinds. Within an hour, the temperature in the room changed dramatically and we could actually use the room again. We kept the blinds closed for a few days, during the cold snap. They really do work! We even tested it; the windows were cold to the touch, but the blinds were not. The blinds simply kept the cold at the window, keeping it out of the room. I am now a true believer that insulated window treatments are worth every penny. We’re now putting the same blinds in our bedroom! Dana and Sharon, Just wanted to let you know that my new shades were hung today. They are exactly the way I wanted them to be. Thank you both so very much for all your help. I wish every business could be like Breslow. Everyone who works there is so very nice, friendly and ready to help in any way possible. It is a pleasure to deal with all of you. Thanks again.